Could the Japanese financial sector become the next leader for sustainability finance? How are Japanese financial institutions connected to changes in “tipping elements” in the Earth system? And what could a potential future alliance between sustainability sciences and the financial sector look like in the near future? These were the three guiding questions for the fourth dialogue hosted jointly by us and Future Earth Tokyo. 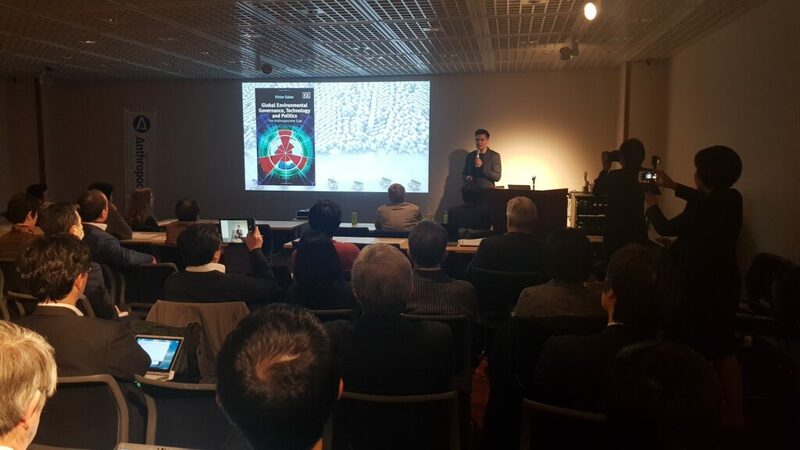 During March 5th and 6th, participants from GEDB and the “Earth system finance” project engaged in a series of lectures, meetings and a full day dialogue about “tipping elements” in the climate system, in the financial district of Tokyo, the first one ever in Asia. Lectures were held by Will Steffen (Australian National University and the Stockholm Resilience Centre, Stockholm University), Victor Galaz (Stockholm Resilience Centre, Stockholm University and GEDB), and prominent Japanese scholars Professor Seita Emori, and Professor Norichika Kanie. All their presentations can be found at the bottom of this page. As part of the preparations for the dialogue, we produced a number of communication products. The first is a Japanese translation of the report “Sleeping Financial Giants – Opportunities in financial leadership for climate stability” (courtesy of Future Earth Tokyo). Second, we presented new data on Japanese ownership in the Amazon and boreal forests in Russia and Canada. The image below builds on the methods developed in our earlier work, and the data has been extracted by our Ph.D. Students Ami Golland and Alice Dauriach, and is available online here (including details about methods). 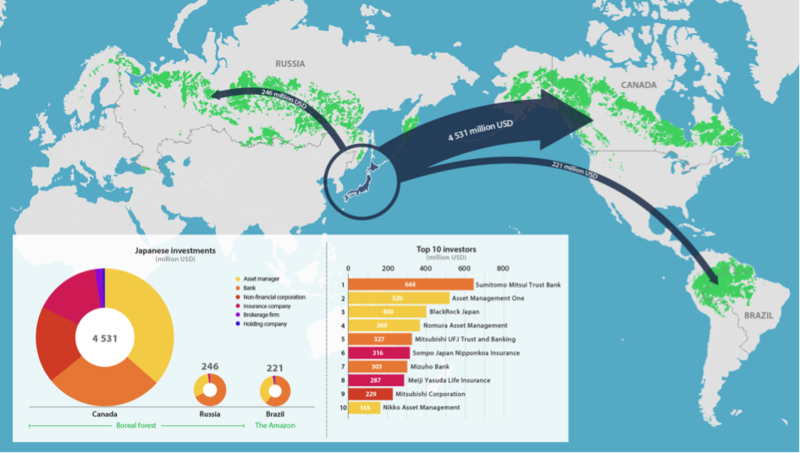 As the analysis shows, Japanese ownership in “tipping elements” is quite diverse including banks, asset managers and insurance actors, and is substantial in boreal forests in Canada (4,5 billion USD). 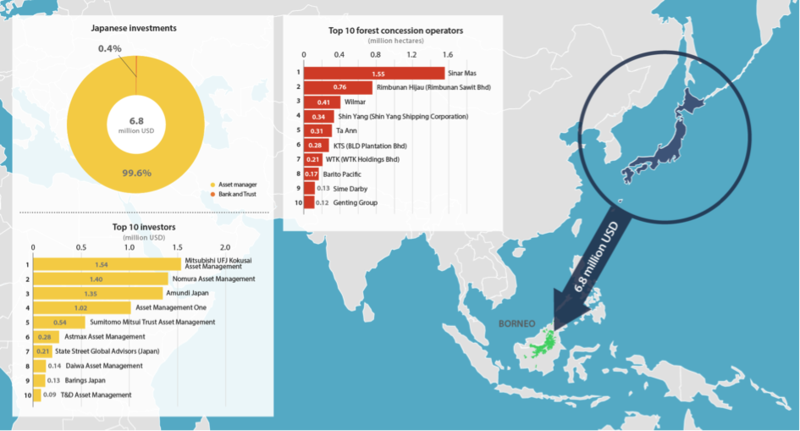 Japanese investors also asked for ownership data related to deforestation in Borneo. While this region is not associated with known “tipping elements”, changes in this biome has vast impacts on livelihoods, biodiversity and the climate system. The estimated economic value of ownership in this case is smaller, and dominated by asset managers. This visualization (see below) also builds on data extracted by Ami Golland and Alice Dauriach, and is available online here (including details about methods). We would like to thank the team at Future Earth Tokyo for hosting this fourth dialogue with the financial sector, and we look forward to continued engagements in the near future.